When we're not busy performing in the London Wedding Band, Festival Foxes, we are all professional musicains in our own right. 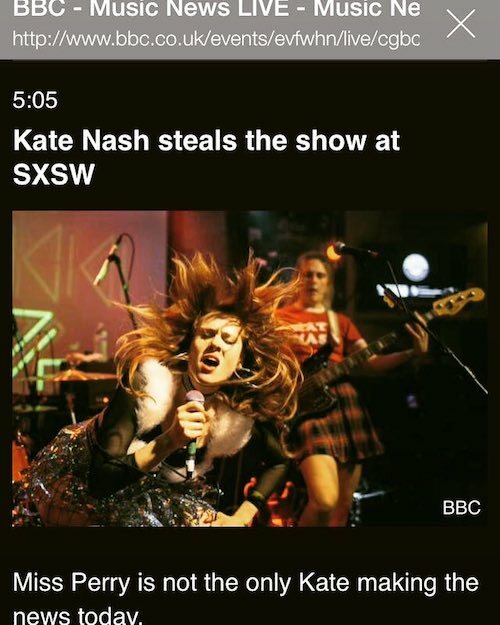 And this month, Emma our fabulous bassist, was lucky enough to head out to Texas and play SXSW (South by South West) festival with British artist Kate Nash. 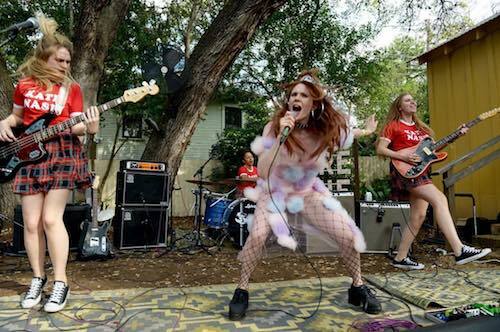 SXSW is a very industry-heavy festival, normally showcasing the best up-and-coming acts from around the world, as well as some big names doing secret gigs. 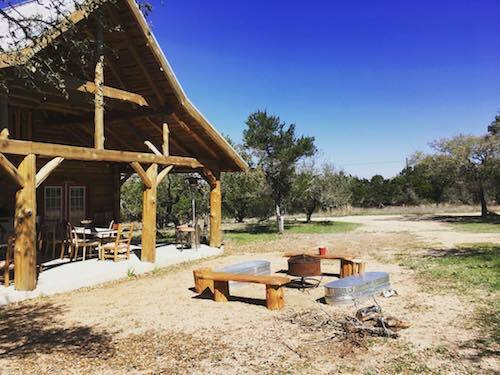 I arrived in Austin at my accommodation which was unreal. 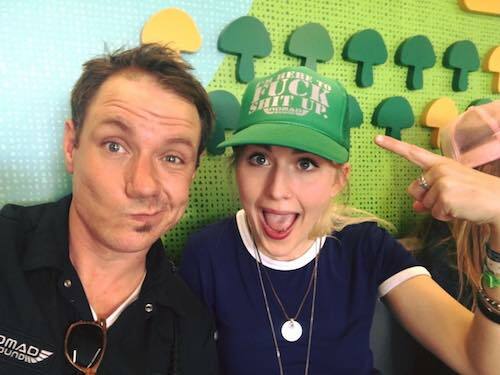 The Kate Nash team had booked us a ranch just outside the city centre. You had to drive up this dirt track to a cute red barn, which had 8 bunk-beds in and 2 rooms upstairs. Luckily being an all-girl band, the girls took over the bunk-beds and we let the boys (our backline tech and sound engineer) have their own rooms. There was a communal area with a fire pit which we went to most nights to unwind from the shows. It was such a great experience and way to perfect for creating that ‘Texas feel’. Our first show was at the British Music Embassy Hosted by Jo Whiley and Steve Lamacq for BBC 2. We arrived to the venue and it utter chaos (in a good way!) This small club in the middle of Austin hosted back to back performances of the best of British music. We had to set up outside next to a dumpster and were given a 20 minute change-over slot, with no sound check or dressing room. It’s not always glitz and glam, but always rock and roll! The show went so well! 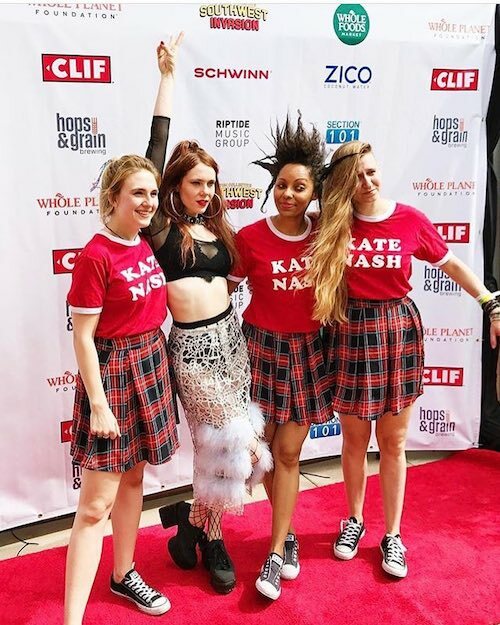 It was a high energy performance, which had the crowd moving from start to finish and Kate Nash ended the performance by playing the final song stood on top of the bar (very coyote ugly!). This was recorded live and aired on Jo Whiley’s show! The next day we had 2 shows in one - the first show was in a back yard of a cafe, where we played under trees on old rugs. It was 3pm in the afternoon as well so felt so odd to be gigging in daylight! The second show of the day was at a church… a real churchy kinda church! We played on the altar to a crowd sat in the pews. 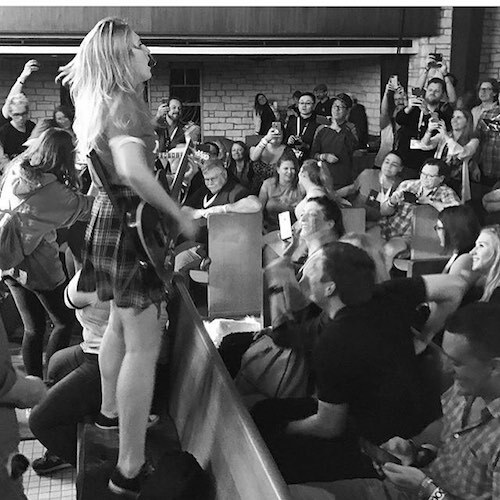 Obviously we thought it was too tame for a Kate Nash gig and the set resulted in Kate running up and down the aisle singing her heart out and myself and Linda (who used to be in Festival Foxes, and still plays with us occassionally) playing stood up on the pews. Although we were in a church that seemed to be one of the most punk shows I’ve played! The last show we did of the festival was on the roof top of a Whole Foods store, in the glorious Texan sunshine, and another chaotic change-over. I may be biased, but it was another great show! So much so, the sound guy gave me his hat for ‘crushing his stage with bass’! Do check out these awesome artists, if you get the chance. I also was lucky enough to meet a representative of D’addario - Jess that gave me lots of free products to try, including double bass guitar strings. I can’t wait to use those on the next Festival Foxes gig. SXSW was the most chaotic, exhausting, enthralling, fun experience! If ever you get a chance to go… GO FOR IT! Be prepared to drink lots of coffee and surround yourself in musical madness. What could be better? !